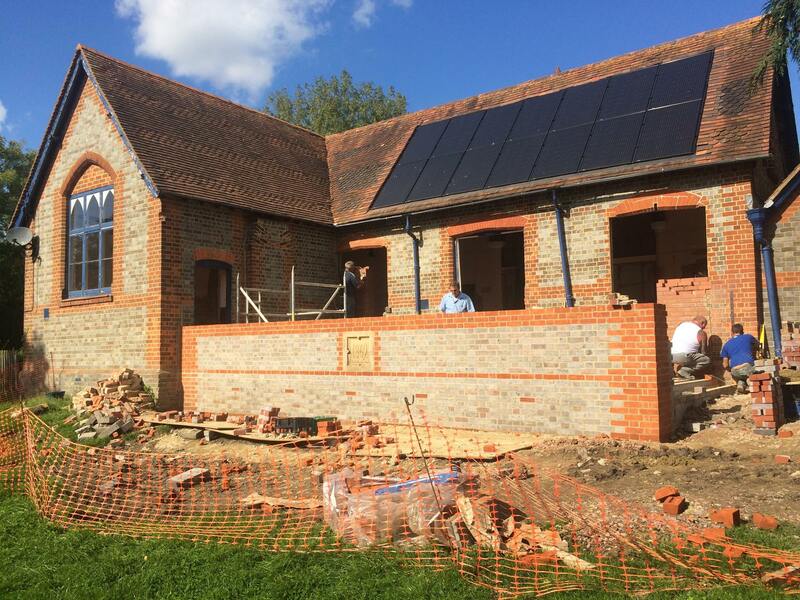 Three commercial premises in Dunsden and Sonning Eye were hit over the Bank Holiday weekend. The break-ins seem to have been carefully planned and resulted in several thousands of pounds of losses. A reminder to be vigilant at all times, report all suspicious activity, and make sure that doors and windows are not left open when a house is empty. The parish council is firmly opposed to Gladman’s outline planning application for a large new housing development near Dunsden. It would almost triple the number of houses in the parish and if agreed might set a precedent for further large scale house building next to Playhatch and elsewhere in the area. CAGE is an umbrella group of seven local parishes and four Reading residents groups that are fighting the scheme. Will you support the campaign? 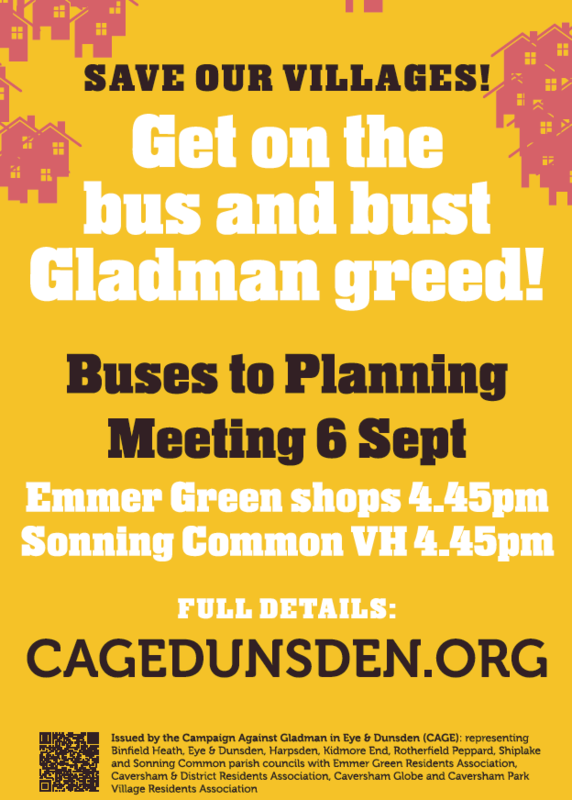 They are running buses to the planning committee on Wednesday in order to encourage as many members of the public to attend as possible. Find out more on the CAGE website. 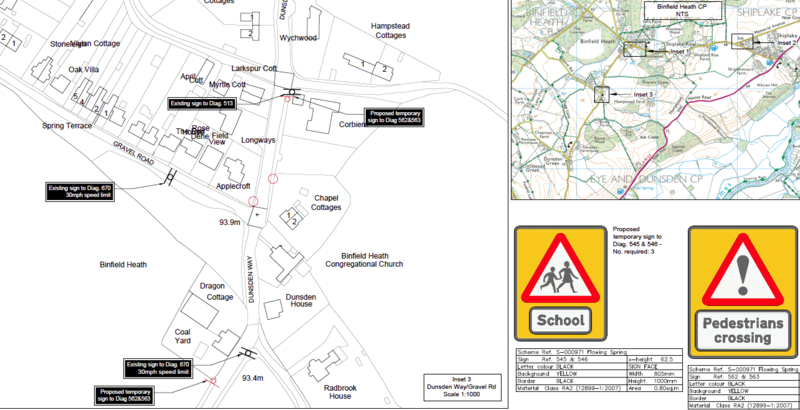 The parish council is working with Oxfordshire County Council and the police to ensure they attempt to limit the impact of the extra traffic through Playhatch and Dunsden during the nine weeks the A4155 is to be closed. Extra warning signs are to be installed and additional action will be taken as needed. Fibre broadband is coming to the remotest corners of the parish, thanks to the Better Broadband programme. 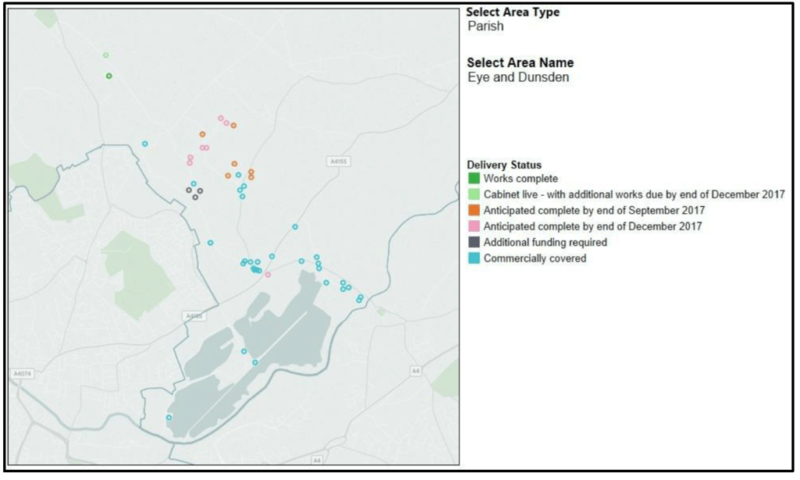 The majority of coverage in Eye and Dunsden has been delivered commercially. Three postcodes (RG4 9PU, RG4 9PX and RG4 9PY) with four premises, are not in the existing plans and we are not aware of any further commercial deployment plans. These residents may wish to consider a co-funding option detailed on the website. 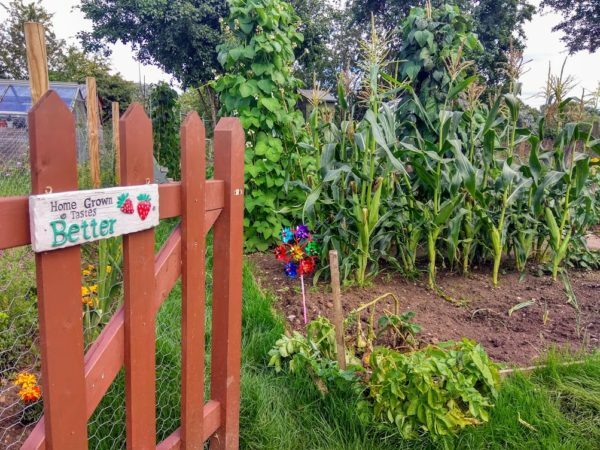 The council provides two allotments, one at Sonning Eye and another at Playhatch. Vacant plots sometimes become available. 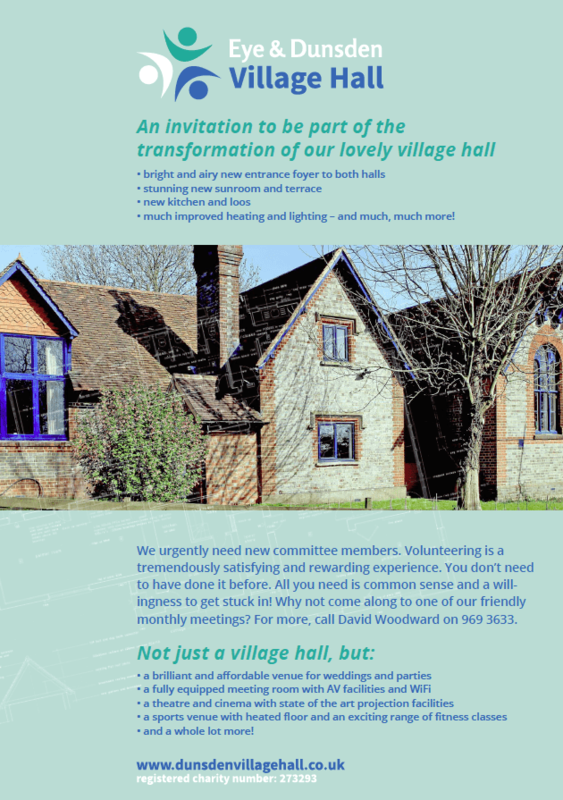 If you’re interested, please email Mandy, our Clerk.